Four generations of the Childs Family. 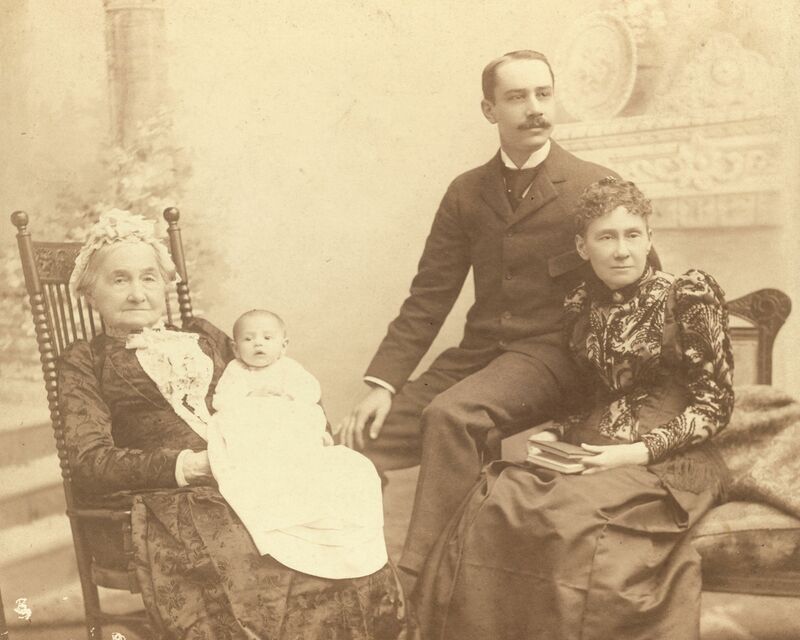 From left to right: Jane Ketchum Childs, Dorothy Shubrick Childs, Eversley Childs, and Maria Eversley Childs, 1892. Special Collections has acquired an important local history collection. The papers of Eversley Childs (1867-1953) and family members, who resided in Crane Neck, Village of Old Field, NY, New York City, and Greenwich, CT, were donated by Childs’ great-granddaughter, Wendy Lockwood Fidao Bali. The collection is trove for researchers studying all facets of Long Island history, from local politics to business to marine sciences. It includes thousands of photographs, papers, maps, and textiles documenting generations of the family. Childs headed and invested in several lucrative companies in the early 1900s, including Bon Ami and Technicolor, and was a philanthropist, founding a hospital in the Philippines for treating leprosy and donating land in Setauket to the Salvation Army. The papers of the Lockwood family include original accounting records and correspondence from the period of the American Revolution, in which Eliphalet Lockwood was a captain in the Connecticut Militia, through the 19th century.